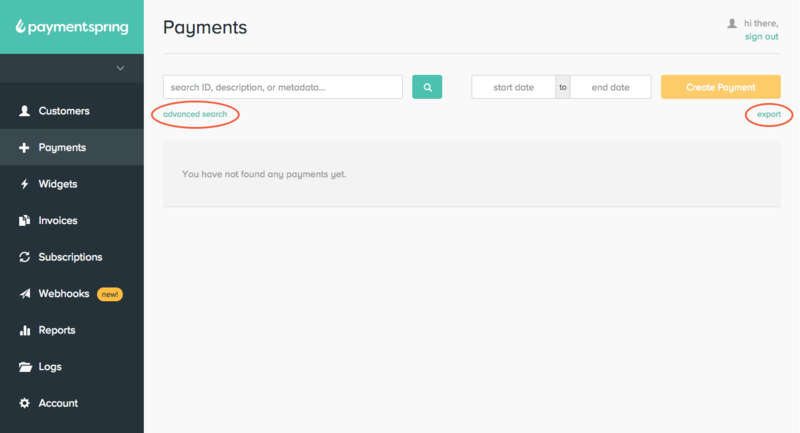 In Payments area, use the search box to find payments based on any detail captured (e.g. description, amount, email address, etc). Use the “advanced search” feature for a more in-depth search. Once complete, you can export results using the “export” link at the top of the page.